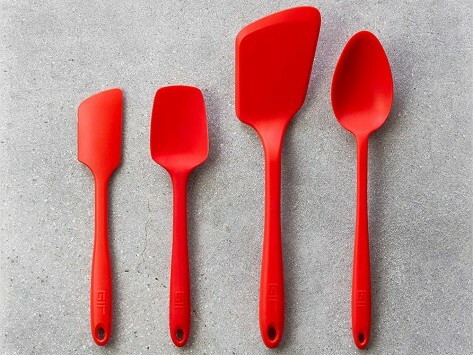 This set from Get It Right includes four utensils made from medical-grade silicone in a variety of shapes to tackle different kitchen jobs. Strong but flexible heads make it easy to scoop, scrape, and flip. 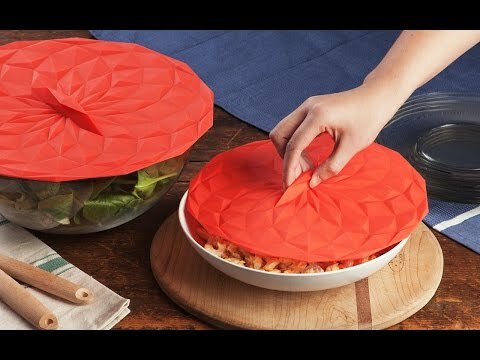 The handles stay cool and comfortable from the stovetop to the table. Dimensions: Ultimate Spatula: 11" x 1.9" x 0.7"; Ultimate Spoon: 13.5" x 2.75" x 0.5"; Ultimate Flip: 13" x 3.25" x 1.75"; Ultimate Spoonula: 11" x 2.5" x 0.5"